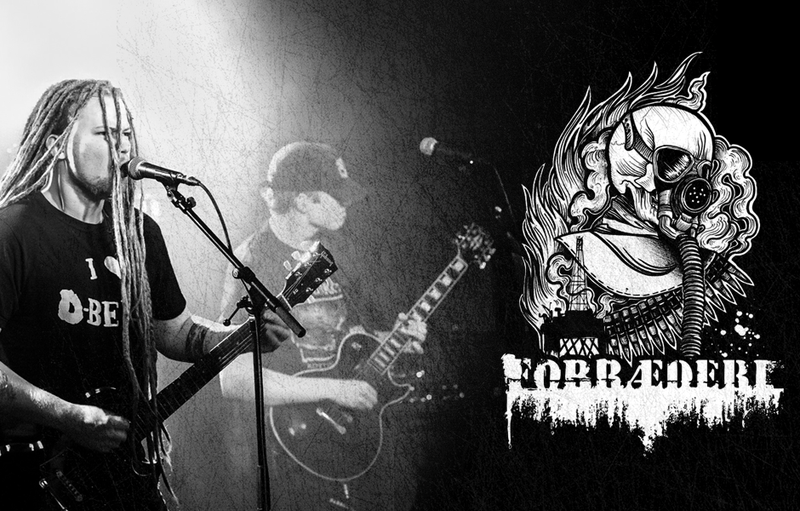 Forræderi has been delivering crusty grindcore since 2007. Originally as a powerviolence/grind act by Christoffer and Joakim. The first years consisted mainly of rehearsing and the recording of a demo in 2009. Line-up changes made it difficult to tour, even though stand alone gigs occured here and there. Both touring and recording wise the band saw a rise in 2010 with both a minitour in Denmark with Black Blood World, as well as the recording of the debut 10″ Nå Må Det Faen Meg Ta Slutt. The plan was to move to Trondheim, although in the end only Christoffer and Joakim moved. A year of hiatus followed. Left without a drummer or bassist Christoffer and Joakim focused on another band called Elendighet. But after a while one of their newfound friends Timo Silvola agreed to pick up the drummer duties after Håkon. They also recruited John from Elendighet on bass. Within six months of rehearsing the band recorded their side of the Barren Womb / Forræderi split 7″ and had played more than they had done in years. Later the same year (2012) the band went on a scandinavia tour with Barren womb. In late 2013 another lineup change occurred with Tomas Järmyr (Zu, Yodok) taking over snare blasting duties. The band started the recording process of a new release in late december 2014. This recording is currently in the mixing process and should be released early 2016.